HOLLYWOOD SPY: TRAVIS FIMMEL TO LEAD RIDLEY SCOTT'S TNT SF SERIES RAISED BY WOLVES! POSTCATACLYSMIC TRAILER FOR NETFLIX 'IO' SF THRILLER WITH ANTHONY MACKIE! TRAVIS FIMMEL TO LEAD RIDLEY SCOTT'S TNT SF SERIES RAISED BY WOLVES! POSTCATACLYSMIC TRAILER FOR NETFLIX 'IO' SF THRILLER WITH ANTHONY MACKIE! Science fiction all the way today! After starring in Vikings, Australian star Travis Fimmel is to lead another epic show: he will topline TNT's sf saga RAISED BY WOLVES which is supposed to be helmed by Ridley Scott with the story revolving around two androids — Father and Mother — tasked with raising human children on a mysterious virgin planet. As the burgeoning colony of humans threatens to be torn apart by religious differences, the androids learn that controlling the beliefs of humans is a treacherous and difficult task. Ridley Scott will also produce THE LONG DARK, also a sf series which is being described as religious apocalypse! You can stream IO from next week! 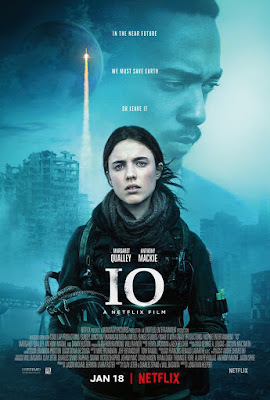 their new post apocalyptic action movie IO which will be ready for streaming from January 18th following Sam (Margaret Qualley), one of the last survivors on a post cataclysmic Earth, a young scientist dedicated to finding a way for humans to adapt and survive, rather than abandon their world. But with the final shuttle scheduled to leave the planet for a distant colony, her determination to stay is rocked by the arrival of another survivor, Micah (Anthony Mackie). She must decide whether to journey with him to join the rest of humanity and begin life anew, or stay to fight for Earth's survival. Danny Huston also stars. I don't know that Travis Fimmel's movie career has exactly been scintillating since he left "Vikings," but I'm sure he's making lots of money, which is okay for him, I'm sure. he is mostly unsuccessful, methinks, especially now that he has totally lost what little looks he had before. It's not the first time I hear about a child raised by wolves, in isolation from humans. I just don't recall actually viewing such a movie. The interesting concept in your summary is "virgin planet", that is a completely new planet, probably populated with a new kind of humans. That sounds ...promising. Neither sound like my cuppa. Of course Disney would keep trying to cash in on the success and create a sequel to Mary Poppins. I wish they'd do some new works now instead of recycling the same stuff over and over again. 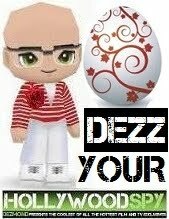 did you go to see it in the cinemas? No, since December is such a busy month for us and our theater is so tiny they only have movies for 2 to 3 weeks before they replace them with something new. I only took the girls to see The Grinch over winter break. We'll catch Mary Poppins when it's out on Blu-ray. Some of the bigger theaters will keep them for around 8 weeks or so here, but I like my small theater because I can buy 3 movie tickets, a tub of popcorn and 3 large drinks for under $20. If we go to the bigger ones, we're looking at over $50 for the same experience. we don't have food in our cinema, and it is about 50 years old which means it has old, hard seats. Actually all of the theatres closed in our city in last two decades, so our local Open University opened their amphitheatre for movies, which means it is not a multiplex with comfy seats.